And business growth naturally follows. Millions of Americans think of their pets as family members. 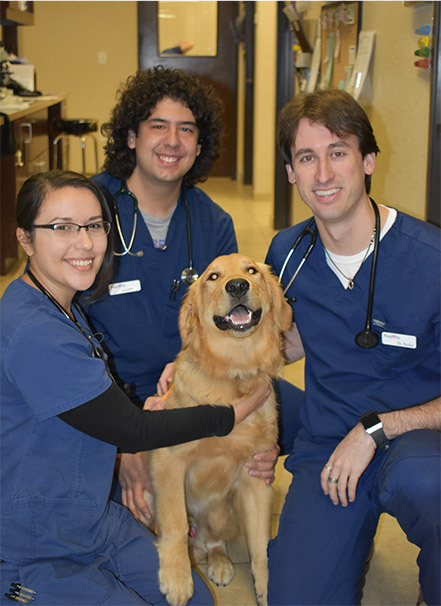 In fact, 68% of households across the U.S. have a cat or dog, and annual spending on veterinary care is more than $18 billion.2 With communities across the country populated with pet families, the time is right for you to make the move into clinic ownership, and own a vet clinic, or ensure your current clinic is on the right path to meet demand. We can help you capitalize on the active pet care market by working together and building a well-designed practice where your attention to animals is your focus. can confidently start a practice right away, and own a vet clinic with operational support from Bingle Vet Clinics. can use Bingle Vet Clinics expertise to build a back office and overcome hurdles that come with ownership. can make the most of their practice’s potential with help and resources from Bingle Vet Clinics. Varied Professional Offerings = Revenue Opportunities. Vaccinations, wellness profiles, dental cleanings, microchipping, nutritional counseling, surgeries and more. “Resort-style” services including daycare and overnight boarding; some clinics may offer grooming services as well. Well-designed clinic facilities, so your team, patients and pet families are comfortable: whether new or retrofitted, efficient layouts include exam and treatment areas, X-ray and surgical rooms, plus lounges and special amenities.